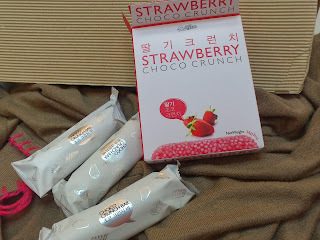 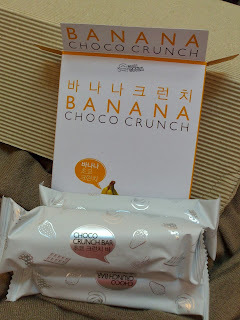 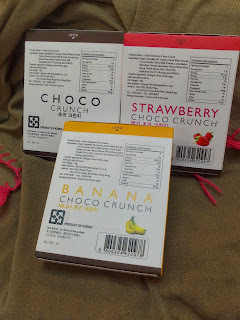 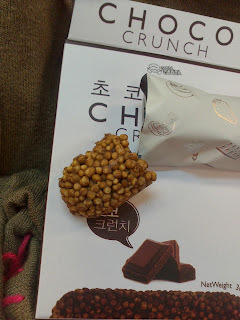 Got these delicious Choco Crunch snacks from 7-11 which cost $9.9 per box. 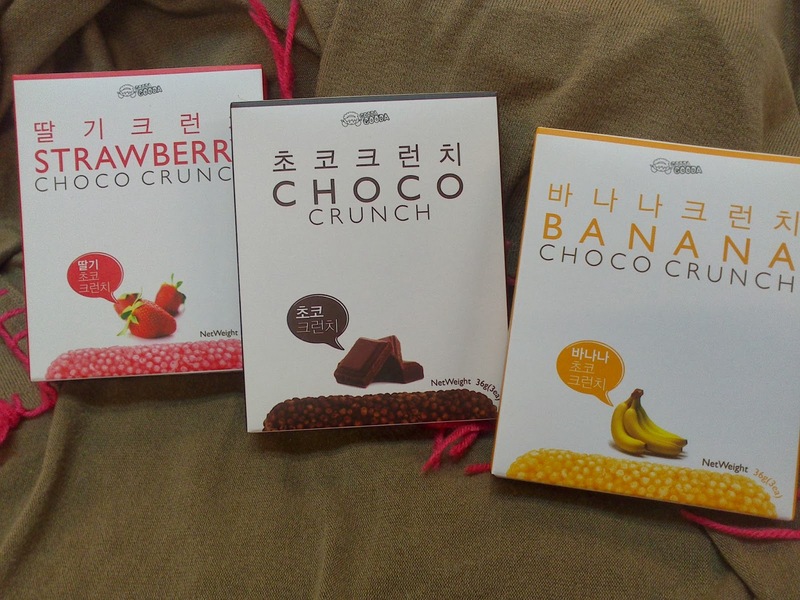 There are three flavours: chocolate, strawberry and banana. 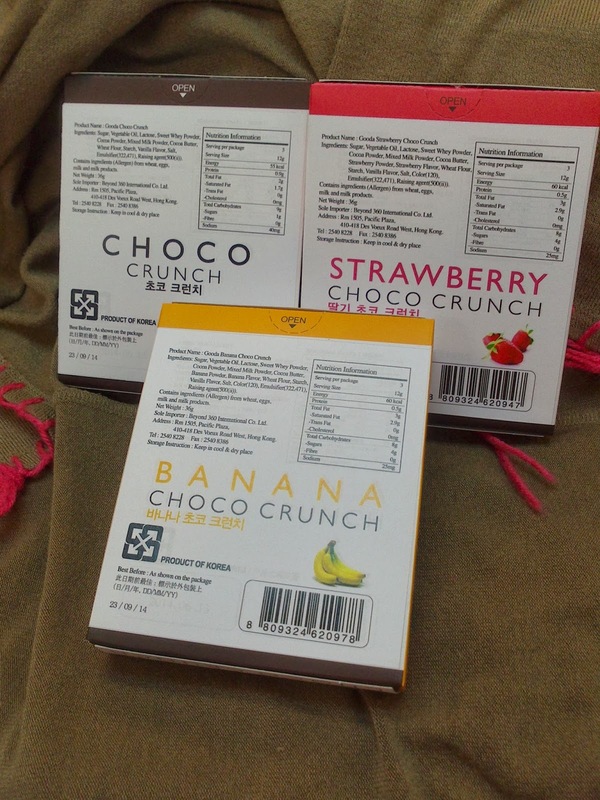 In each box, there are three bars. 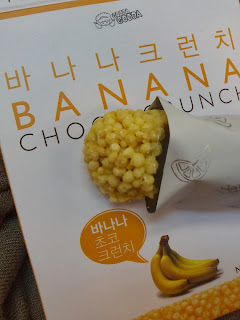 They are similar to rice crispy bars but the shape of the crispy pieces are just like cute little balls, similar to deep fried couscous made into a sweet snack bar. 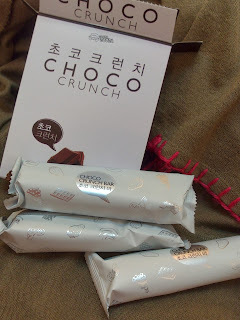 They all had a nice crisp crunch and the texture of the bar was not too hard. 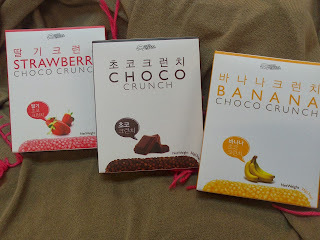 Out of the three flavours, the chocolate flavour was the best. 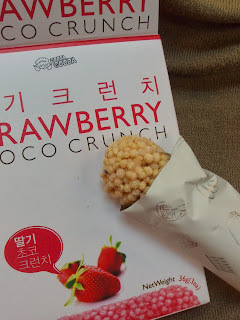 Next I liked the strawberry because it had a hint of coconut in it and lastly the banana because I am not really a banana person.